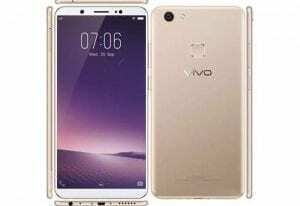 Vivo is one the big Chinese brands around and are well known for their high-end smartphones and nice camera. The Vivo V7 is one of the few mid-range smartphones by the smartphone maker. However, the smartphone in question is a mid-range smartphone with some pretty mean sensors here for taking pictures. The question is, is it worth the price? Stick with me and get to know for yourself. The Vivo V7 is a smartphone with nice aesthetics and sturdy build. It features a polished metal chassis and curved edges. Overall ergonomics appears solid, however, the sleek smartphone might prove to be slippery at times. The smartphone is a premium looking one as a result of its metallic unibody and its impressive design. Although not bezel-less the bezels here are highly reduced. Vivo equips this smartphone with a fairly large HD+ display, which is somehow low resolution for a mid-range smartphone. The least expected here was a full HD display, however, you have a 5.7-inch 1440 x 720 pixels display. The display appears out of place here but still gets the work done nonetheless. The Vivo V7 is a rather conventional smartphone when it comes to battery capacity. It features a 3, 000mAh Li-ion battery which is not bad at all. On average use, this should be able to last a day with no difficulty. On the other hand, the lack of the fast charge feature here is disappointing for this calibre of smartphone. Vivo is known for their excellent camera and the Vivo V7 does not disappoint. It takes nice pictures with good colour balance and shows more detail. The smartphone features a 24MP front camera with soft moonlight flash and a 16MP rear camera with dual LED flash. As regards the SoC powering up the smartphone, its performance is quite acceptable for a mid-range smartphone In that regard, the Vivo V7 has an Octa-core Qualcomm Snapdragon 425 processor running at 1.8GHz. In addition, there’s an Adreno 506 GPU for graphics rendering and handling of gaming graphics. Also included in the Vivo V7 is a rather generous 4GB internal memory and 32GB built-in storage. This can be expanded to about 256GB with a memory card. The smartphone runs FunTouch OS 3.2 based on Android 7.0 Nougat. 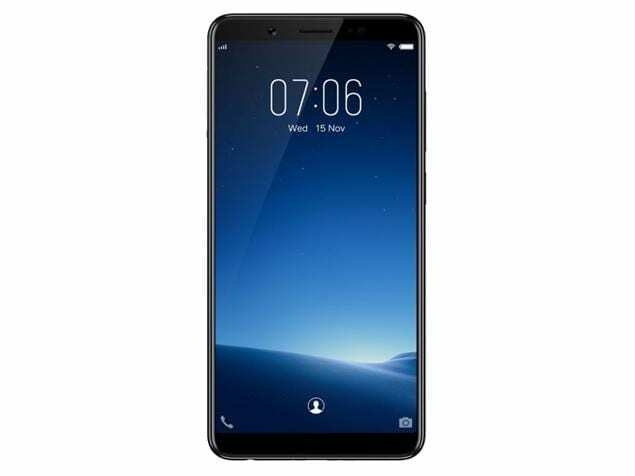 The Vivo V7 is available for sale in various online stores and retail outlets. It has a price ranging from 86, 000 Naira to about 105, 000 Naira depending on your location and the vendor.